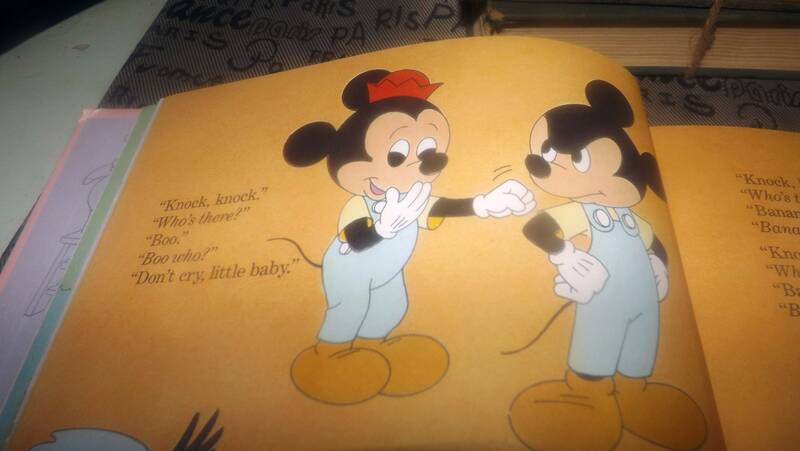 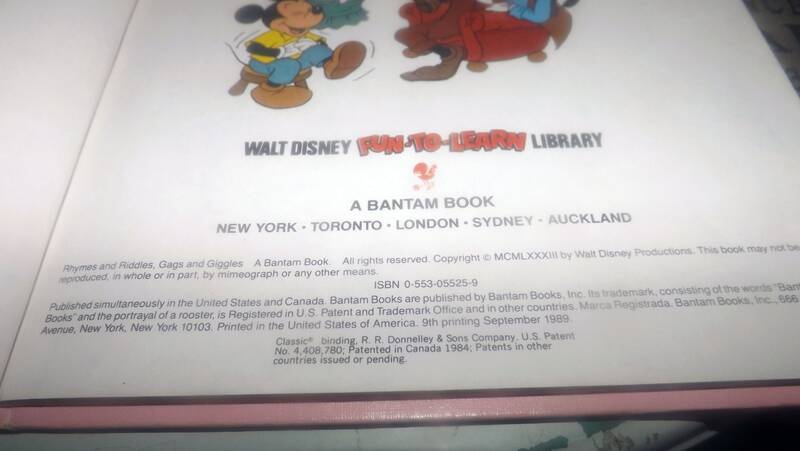 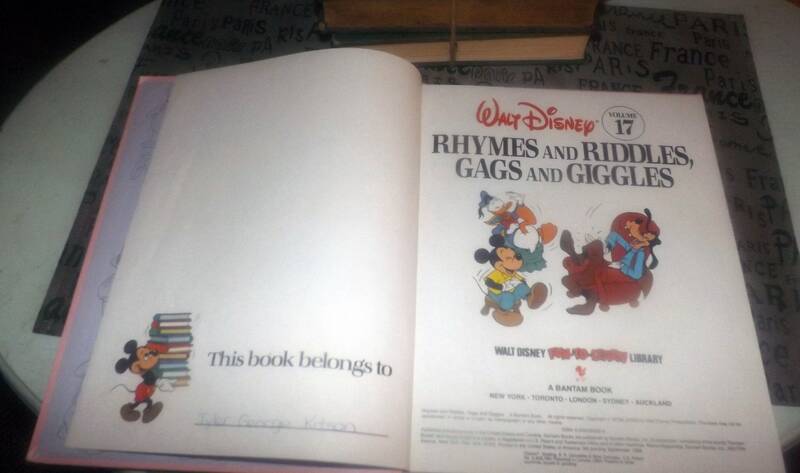 Vintage (1989) Walt Disney Mickey Mouse Pluto Volume 17 Fun to Learn Library Rhymes and Riddles, Gags and Giggles children's learning book. 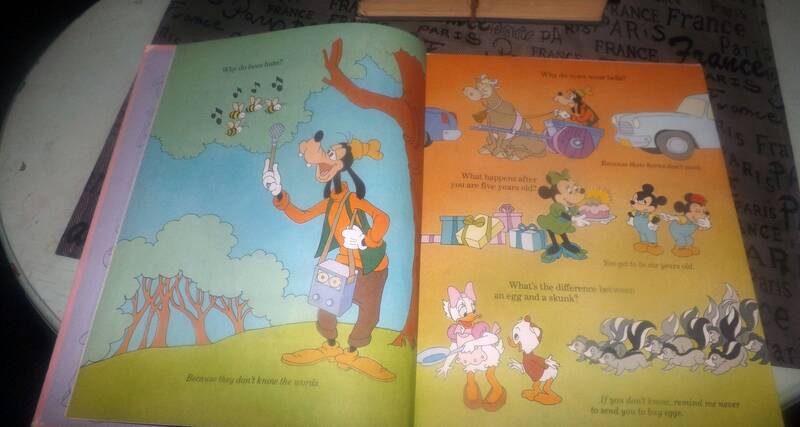 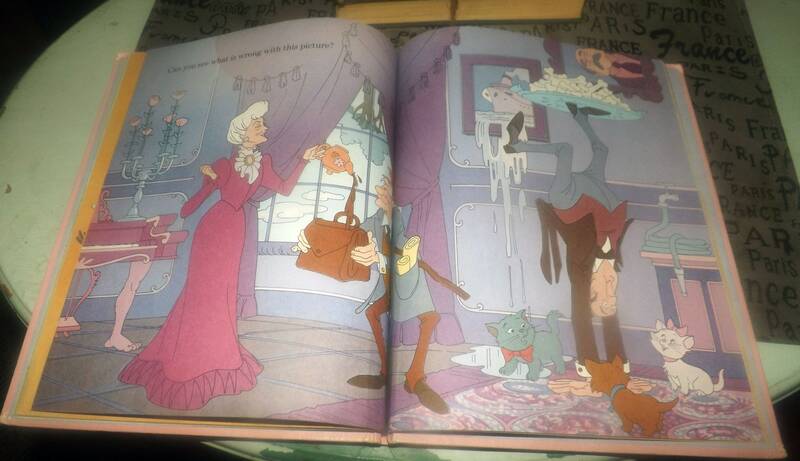 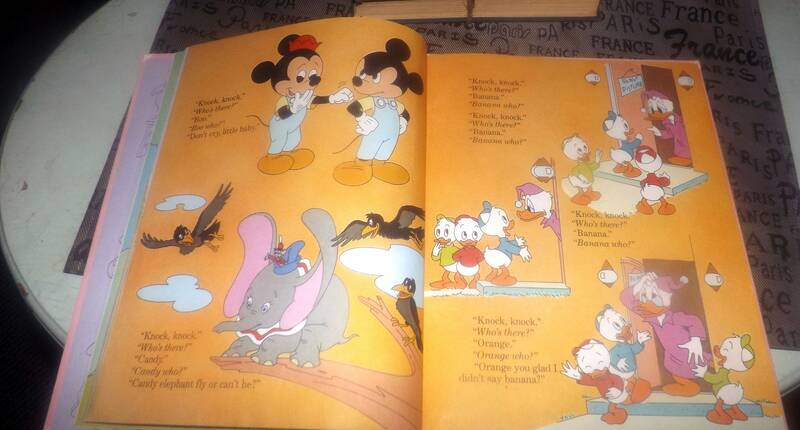 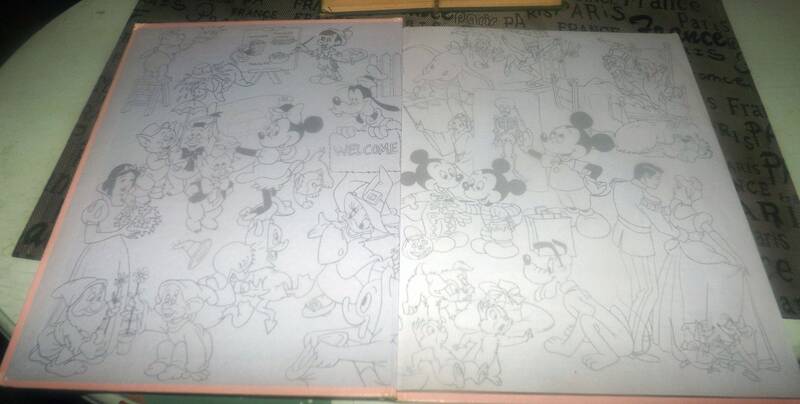 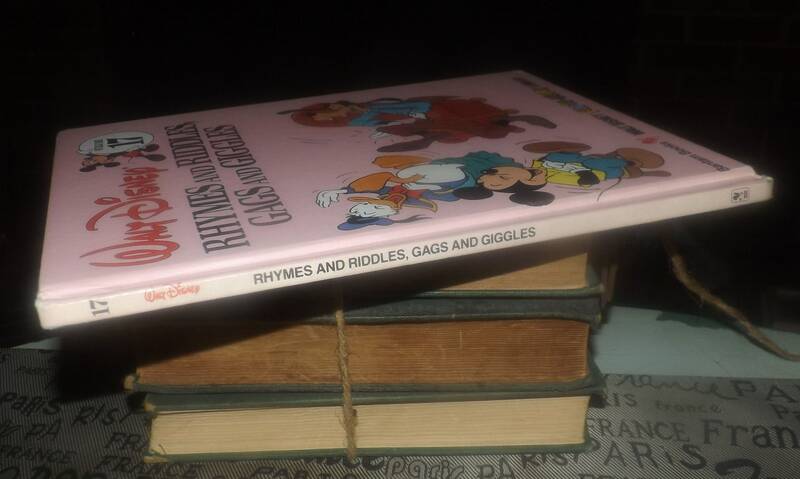 Vintage (1989) Walt Disney Mickey Mouse Pluto Rhymes and Riddles, Gags and Giggles hardcover children's learning book. 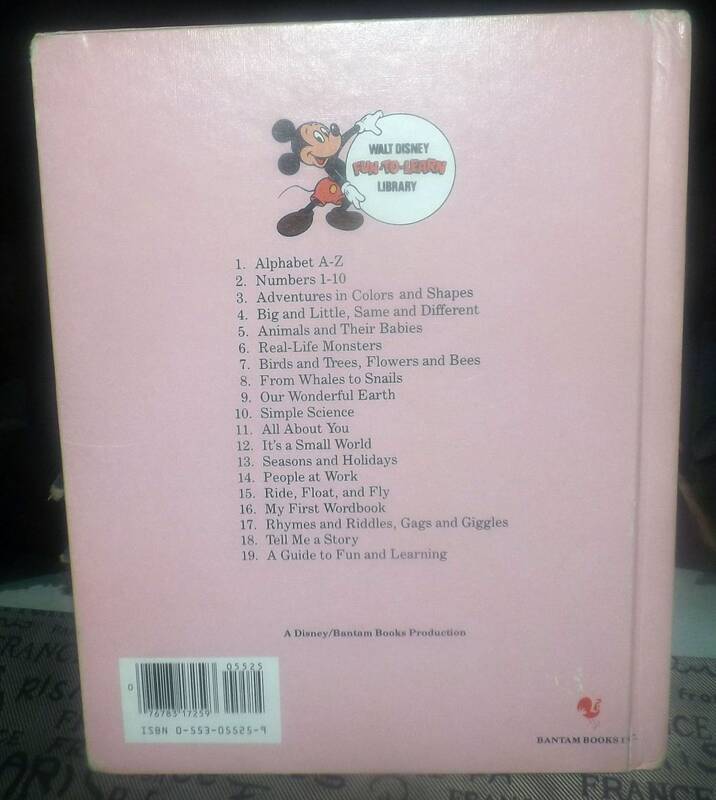 Volume 17 of Disney's Fun to Learn Library. 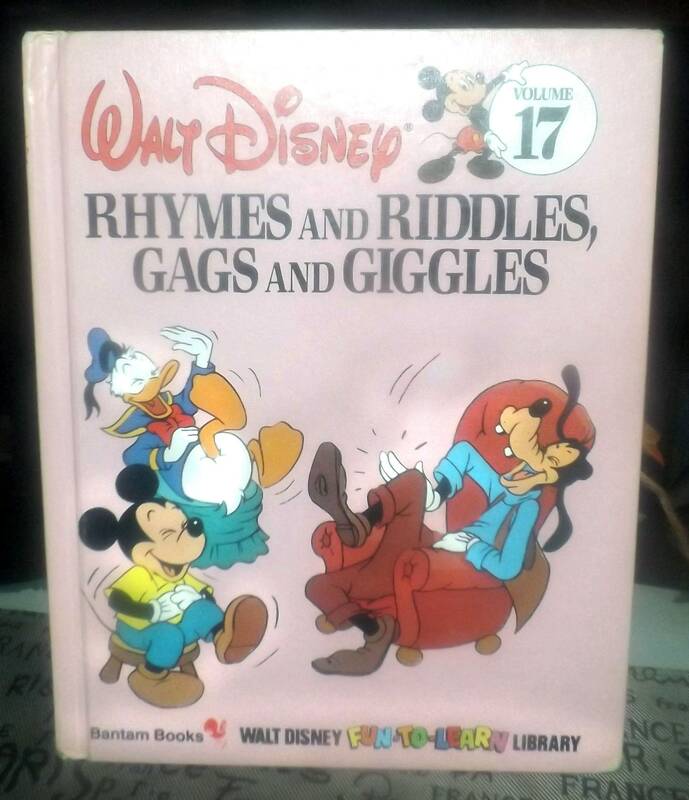 Join Mickey Mouse, Goofy and other Disney characters as they tickle your funny bone with their various witticisms, stunts, rhymes and puzzling riddles for you to figure out!